Today I did a presentation for Rocket about Kotlin. We have regular lunch-and-learns at Rocket to showcase new or interesting frameworks, languages, or other topics. Last year I did a similar presentation on Amazon’s Device Farm. The presentation was an explanation similar to my previous blog post about Kotlin. I wanted to share an interesting tidbit about Kotlin that is less related to the language itself and more about the history. Kotlin was named after Kotlin Island, a fortified island near St. Petersburg. It’s a nod to the rumor that Java took it’s name from either coffee from the island of Java or from the island of Java itself. 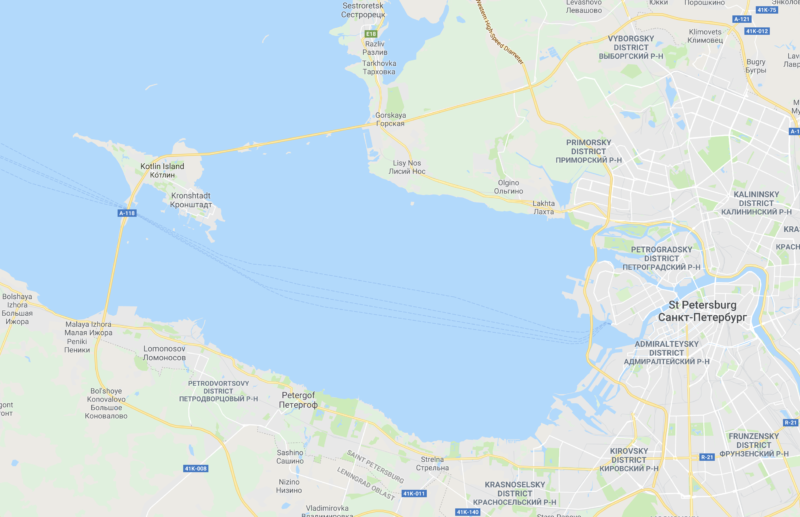 St. Petersburg is where the IntelliJ team building and designing Kotlin is based, so it’s only fitting that it’s a nearby island.